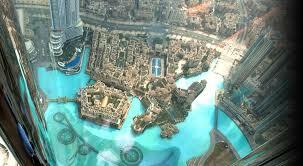 Experts Debate Dubai’s Post-Recession Property Boom – Another Bubble or Sustained Recovery? That will be one of many hot debates at the upcoming Global Real Estate Summit, taking place alongside Cityscape Global – the Middle East’s largest and most influential international real estate event – from 8-10 October at the Dubai World Trade Centre. Tariq Ramadan, Chairman of UAE real estate and business conglomerate, Tharaa Holding, and a headline panellist at the three-day summit, said some speculation has returned to the market, while the large amount of cash transactions continue to cause headaches for regulators looking to curb sharp price increases. “The laws and other regulatory reforms made by the Dubai Land Department and the Real Estate Regulatory Agency have provided a sufficient and transparent environment for Dubai real estate investors, but more importantly, they have provided the much needed protection for investors by making developer requirements more secure,” said Ramadan. According to the Dubai Land Department, real estate transactions in Dubai were up 63 per cent year-on-year for the first quarter of 2013, reaching US$12 billion, highlighting growing investor confidence in the Emirate’s property market. Ramadan said that Dubai’s open market policy and regulatory framework introduced over the past few years has been key to the Emirate’s real estate revival, but warned that any interference with current policy to temper escalating demand could impact its credibility and reduce investor confidence. According to the United Nations, one in five people living in the MENA region is classified as youth, between the ages of 15 to 24, bringing the total of number of youth in the region to nearly 90 million which creates unprecedented demand for affordable and social housing communities. Chris Seymour, Partner and Head of Property & Social Infrastructure at consultancy firm, EC Harris, and another speaker at the Global Real Estate Summit, said developers are taking note. “Affordable housing is now considered seriously by both developers and the government and I think that we will see improvements in this segment to enable better access to good quality housing at the right price for the younger population in the MENA region,” said Seymour. “Mixed-use developments are making a place for the younger population to work and be able to afford to live in close proximity. This provides balance to the community and we are seeing this extend into retail and hotels at mid-scale levels to fill in those ‘affordable option’ gaps”. Other headline speakers at the Global Real Estate Summit and the MENA Mortgage and Affordable Housing Congress include Nenad Pacek, President of Global Success Advisors, and co-founder of CEEMEA Business Group; Philip Blumberg, Founding Chairman and CEO of Blumberg Capital Partners; and Maysa Sabah, Managing Director in the GCC for the Affordable Housing Institute. Future Cities, the leading event in sustainable urban development jointly organised with Dubai Municipality completes the Conference line up at Cityscape Global this year. Organised by Informa Exhibitions, and supported by the Dubai Land Department, Cityscape Global is the annual meeting point for key real estate investors, developers, investment promotion authorities, architects, designers and other real estate professionals to drive growth in real estate investment and development across emerging markets globally. The three-day event will host more than 200 exhibitors and 750 Conference delegates in 2013, and returns with support from Foundation Sponsors Emaar, Nakheel, and Dubai Properties Group; Strategic Sponsor Barwa; Gold Sponsor Union Properties; Official Broker, TRISL Real Estate; Silver Sponsors Abu Dhabi Finance, Anantara Residences and Pacific Ventures; Al Aribya as Regional Broadcast Partner; and CNN as the International Broadcast Partner.